Being a student means making a lot of difficult decisions, but Aristotle has a simple solution for all of them. College is undeniably a rather complicated time of life. College students balance a whole host of obligations. What major to choose, which friends to hang out with, which clubs to join: These are all questions that college students face regularly. But of all the questions students face, perhaps the most vexing are moral questions. It seems that college students (and for that matter, human beings in general) all want to do the right thing but often find themselves unsure of what that means. It can be easy to feel adrift in a sea of impossible choices, unsure of how you are to decide what is right and what is wrong. This is where the philosophy of Aristotle comes in. Aristotle was a Greek philosopher who lived in the fourth century BC. He is arguably the most important philosopher in the Western philosophical tradition. He was born in Macedonia in 322 BC to the King’s personal doctor. As a young man, he moved to Athens to pursue an education in philosophy with Plato, the leading philosopher of the day. Aristotle stayed in Athens for about 20 years before returning home to Macedonia where he became Alexander the Great’s personal tutor. He lived out the remainder of life in Athens, where he founded his own school of philosophy known as the Lyceum. Aristotle was fascinated by how things worked. 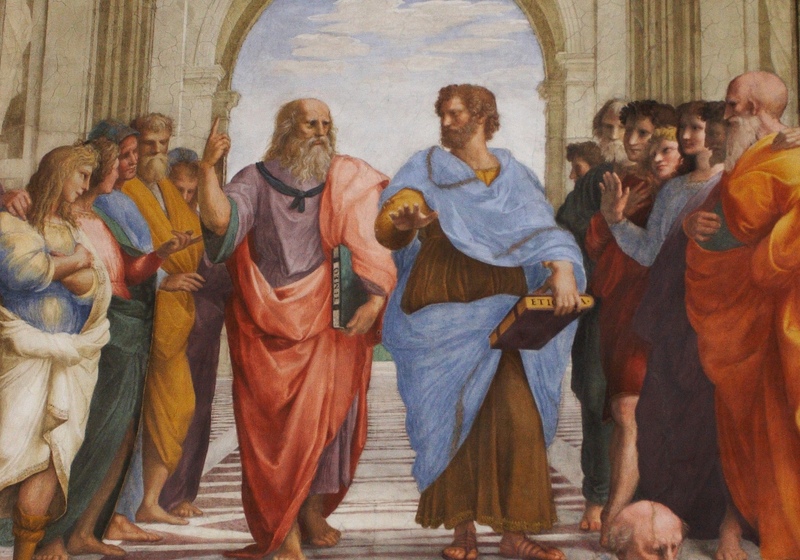 As opposed to his mentor Plato, who was chiefly concerned with metaphysical abstractions, Aristotle was obsessed with explaining what he observed in the world around him. For this reason he was extremely prolific: Aristotle wrote about a massive variety of topics including biology, anatomy, geology, astronomy, physics, rhetoric, metaphysics, political theory, logic, aesthetics, epistemology and (most importantly for the purposes of this article) ethics. Ethics is the branch of philosophy that attempts to discern what actions are right and what actions are wrong and why. Of the various branches of philosophy, I find it to be one of the most relevant to everyday life. Aristotle laid out his ethical vision in a work known as the “Nicomachean Ethics,” so called because he wrote it for his son, Nicomachus. 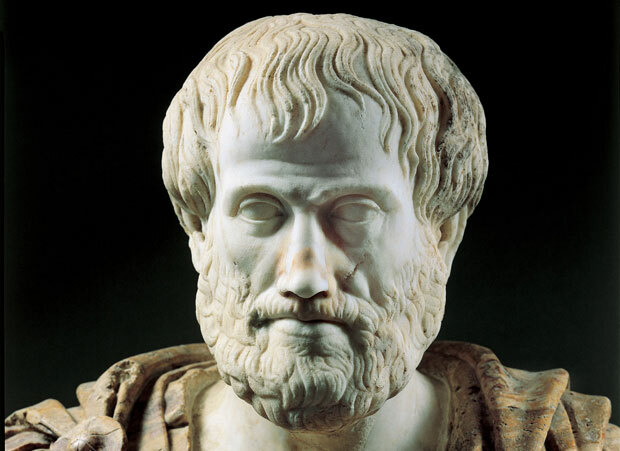 In the “Nicomachean Ethics,” Aristotle argues for what modern philosophers refer to as “virtue ethics.” In a nutshell, this means that Aristotle thought that the good life consists in cultivating particular virtues in oneself. His argument runs something like this: He begins by attempting to identify the highest good in human life. Many seem to think that it is physical pleasure, but this can’t be so because animals live their lives ordered toward physical pleasure, and human beings are separated from animals by their capacity to reason. Some seem to think that it is civic honor, but this also cannot be the highest good because honor is nothing more than a popularity contest, and if the people conferring the honor confer it irrationally (think of all the people who say that Donald Trump is such a good businessman) than that honor is meaningless. Still others seem to think that money is the highest good, but money cannot be a good in itself because money is nothing more than a means to the end of acquiring some other item. With the possibilities of pleasure, honor and wealth eliminated, Aristotle comes to the conclusion that the highest good toward which all the other lower goods strive is happiness. People want pleasure, honor and wealth because they believe it will make them happy. Aristotle recognizes, however, that happiness is not the result of any of these false goods, but rather the result of the cultivation of virtue. Virtue, as Aristotle sees it, is the golden mean between the two extremes of deficiency and excess relative to each person. To give an example, Aristotle names courage as one of the virtues. It sits between the extremes of cowardice (being too afraid to do anything) and foolhardiness (being too stupid to know when you shouldn’t do something). The courageous man does not let his fear get the best of him, but neither does he act rashly without measuring the consequences of his actions. Aristotle goes through this explanation with each of the dozen virtues he names. The point is this: An ethical life is the result of practice. Just like an athlete practices tirelessly to condition his body for a sport, so too the ethical man must practice to condition his soul for moral dilemma. So my advice to you is this: Treat ethical living like a skill that requires practice. Strive to be a man or woman of virtue and not vice. Try to be the kind of person who would do the right thing in difficult situations. Do this and before you know it, you’ll be doing the right thing just like you tie your shoes.